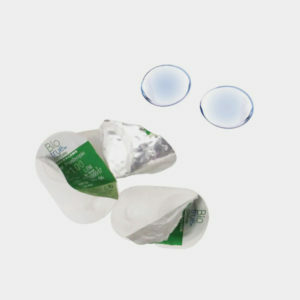 The cardboard boxes that contact lenses come in can be recycled with paper. TerraCycle has partnered with Bausch + Lomb to recycle contact lenses and the blister packs they are packaged in. Simply collect your lenses and their packaging in a box, and request a free shipping label to send the materials to TerraCycle for recycling. Learn more.